Designed to make every woman an expert. Safer is better these days, which is why it's prudent to bring your own tools when you go for a professional manicure. 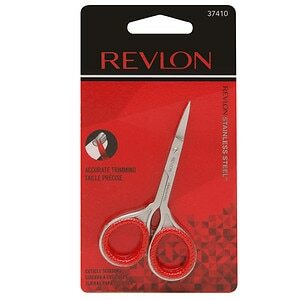 These Italian-made cuticle scissors--with quality curved blades--give a precise snip to ragged cuticles, and peace-of-mind hygiene to boot. You'll never have to ask, "Did you disinfect?" again. Hangnails are unsightly and uncomfortable ... but easy to get rid of with a professional-quality Cuticle Nipper. This one, from Trim, offers an unconditional lifetime guarantee direct from the manufacturer, and will save you plenty of pennies by giving a salon-style finish to your nails and cuticles.